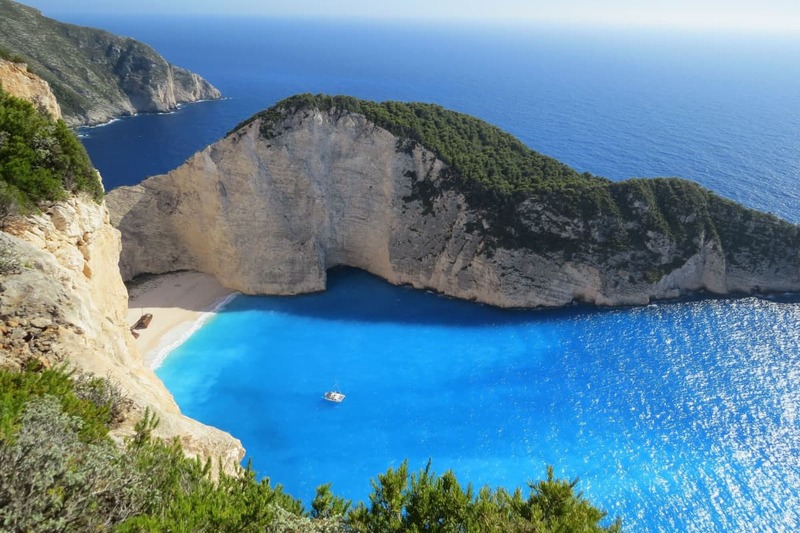 Why Choose Inflatable Kayaks ? Do you know any inflatable kayaks which think should be on this list? Write us your comment below. Inflatable kayaks have evolved so much over the years that they perform well and are just as reliable as their hard-shelled counterparts. Portability and convenience remain two of the best qualities of inflatable kayaks which give it an edge over other types of a kayak. In most cases, inflatable kayaks are also a bit more affordable and easier to control. Because of all these good qualities, they are good starter boats for newbie kayakers. Many professional paddlers also use them because they are easy to carry around and can be transported everywhere. Choosing the right inflatable kayak for your need takes a lot of consideration. The first thing you should ask before you even think of buying a kayak is what you are going to use it for. Kayaks can be used in a number of activities such as fishing, diving, surfing, racing and simple recreational paddling. Depending on your answer, you can easily narrow down the type of kayak and the gears that you need. 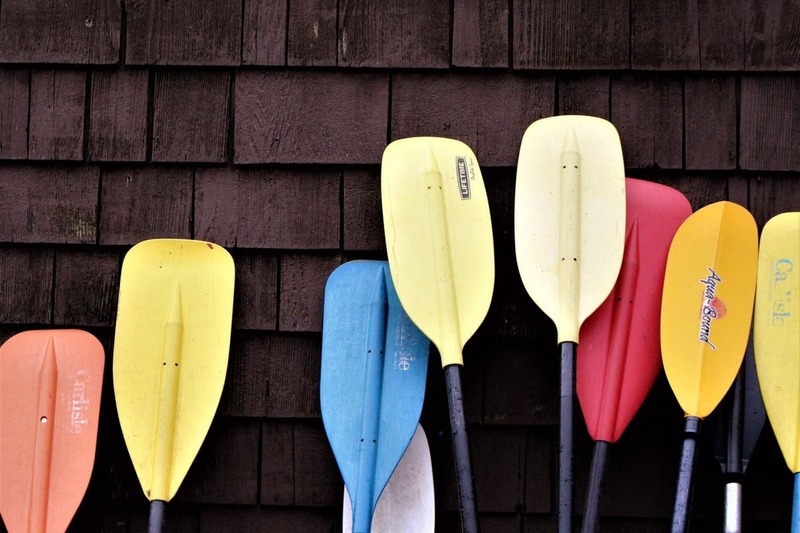 Several kayaks serve more than just one purpose. For example, open kayaks can be used for diving and open water paddling. 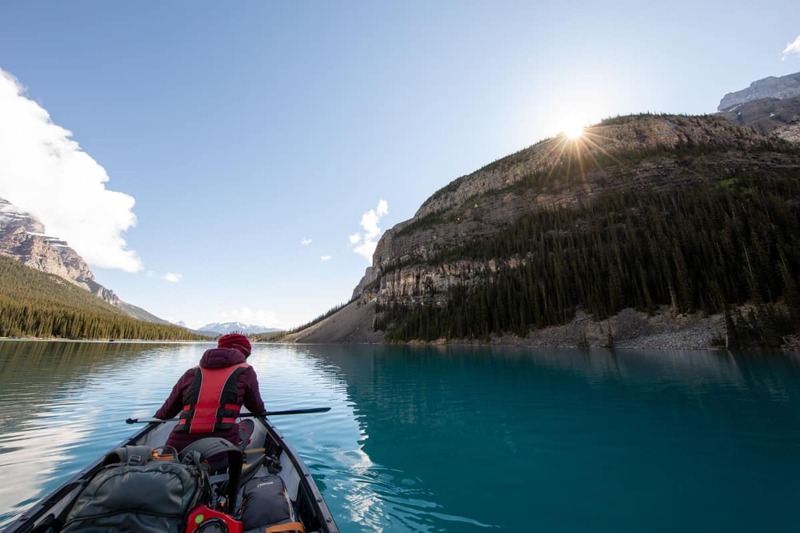 Some manufacturers also equip their kayaks with attachments and accessories that make their product more versatile and adapt to the specific activities of the paddler. Next off, you need to know how many people will be riding the kayak. You may be the type of person who wants to kayak alone and is content with a single-passenger kayak. Or you may be expecting to paddle with another person using the same boat, in which case, you may want a multi-passenger kayak. Inflatable kayaks have different weights and lengths when folded and when inflated. You have to consider the size of the kayak to be optimal in carrying the weight of the person or passengers on board. The weight and length of the kayak can also affect the performance of the boat under different water conditions. Its best to ask a kayaking expert or a kayak store representative what dimensions of the boat best suits you. Moreover, you also have to consider the size of the kayak when it’s deflated. You want a kayak that you can still carry comfortably and can be stored easily. Some kayak models can also be stored in their carrying cases such as a backpack or duffel bag. Another important consideration before you buy your next kayak is the water conditions in the area where you will spend most of your kayaking. Do you plan to go boating along calm lakes, moving rivers, whitewater, in coastal areas or in the ocean? 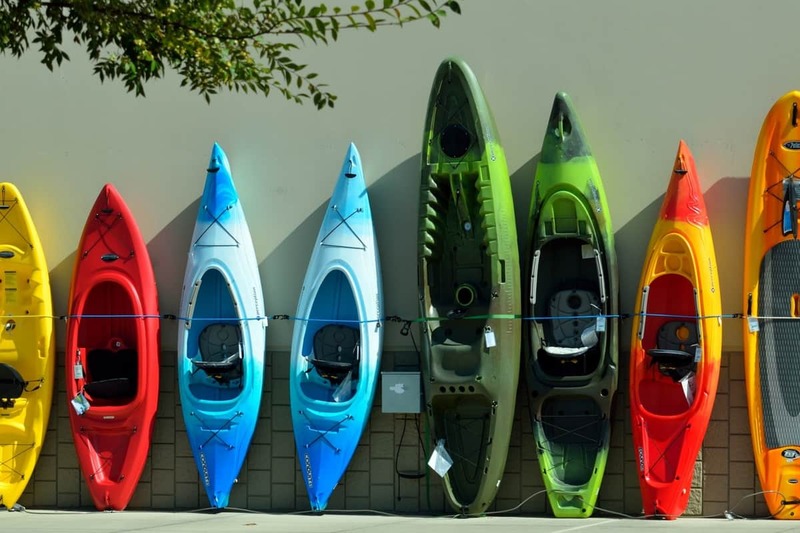 Knowing where you will likely use the kayak can narrow down not only the type of kayak you need but also its specifications and if you need additional gears or features. For example, if you want to go on a whitewater adventure you may opt to choose a sit-inside kayak which has a closed cabin. This design lessens the amount of water that can go inside the watercraft and thus prevents the likelihood of the boat sinking. You also need to consider the weather when you are likely to use your kayak. Open kayaks, as an example, are great during summer and when the water is calm. Warm weather means you won’t have to worry about other weather elements such as rain or strong winds. In comparison, kayaks with spray skirt options are great for kayaking on winter months or when the weather is stormy or windy. This feature allows you to enclose your kayak’s cockpit preventing water to come in while providing more heat to your lower extremities. 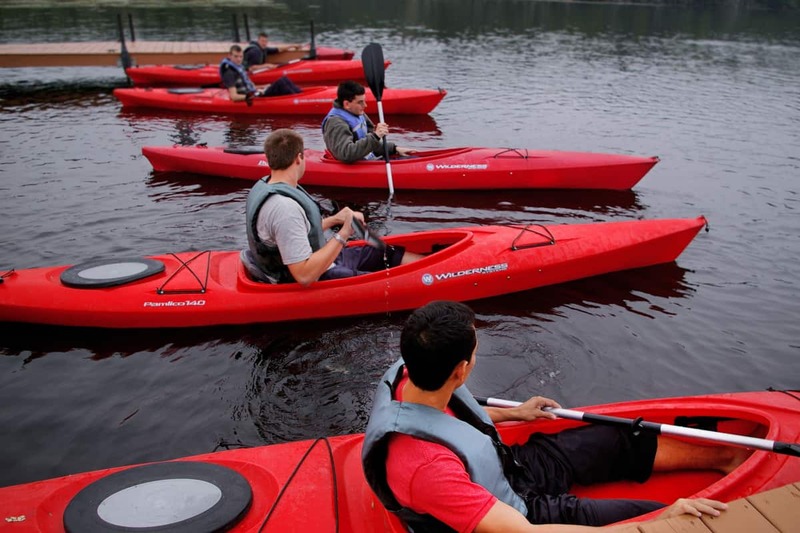 Most kayaks can be set up in just 5 to 10 minutes particularly the “pump-up and go” models. These boats are good for people who can’t wait to get into the action. However, more performance-based kayaks usually take more time and preparation before you can go into the water. As a general rule, you want to pump slightly more air to your kayak during colder days to compensate for more air contracting during such occasions. In contrast, you want to release some of the kayak’s pressure during hot days as air tends to expand your watercraft at these times. Many of the inflatable kayaks you see in an outdoor sports store are low-pressure types. They require only 1 to 2 PSI for them to be inflated. 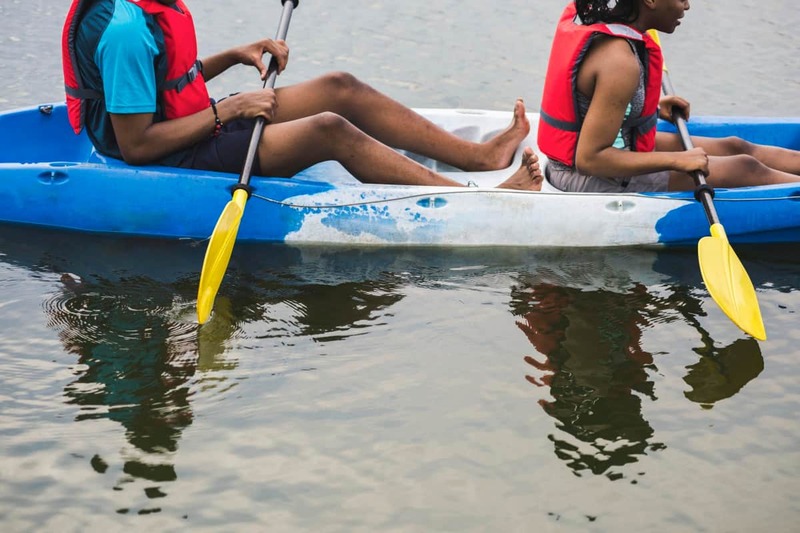 These kayaks also commonly have PVC floor bladders and long welded seams called i-beams which runs along the length of the boat and keeps the watercraft’s shape even. They are also much cheaper because of their simple design. Meanwhile, there are also inflatable kayaks that require a higher pressure of 3 to 6 PSI. The floors of this boat usually have a drop-stitch construction which utilizes thousands of connected tiny threads with top and bottom layers. This compound structure gives the boat a more rigid platform and allows the boat to withstand tougher environments and enhancing overall paddling performance. Because of its complex design, this type of kayaks is more expensive. There are instances that you may need to carry extra stuff while you paddle. As such, you need to assess if you need extra storage space in your kayak or not. A lot of inflatable kayaks also offer storage bags and other attachment options which you can clip on the front and rear hull. Inflatable kayaks also different based on what materials were used to make them. 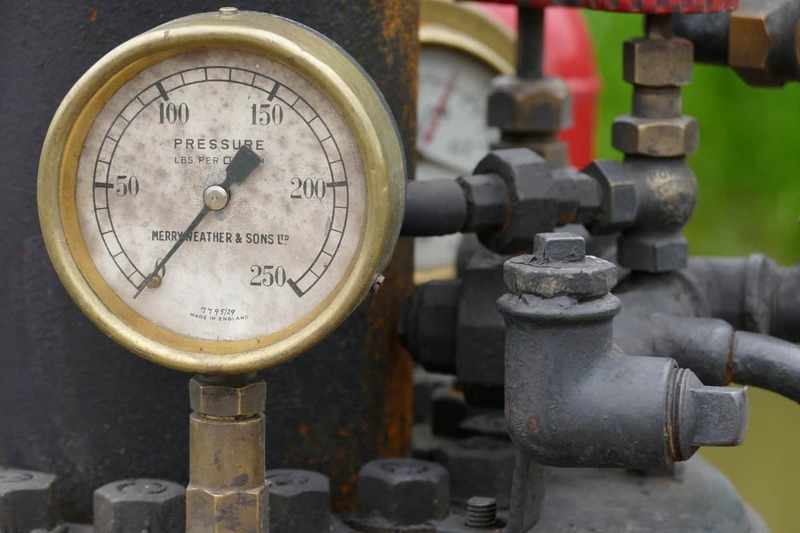 While these materials have little effect on its overall reliability, you may also want to know more about them for environmental and performance reasons. These materials are durable and quite tough which makes them excellent materials for inflatable kayaks. Each material, however, has its positives and negatives. Polyvinyl Chloride is a type of durable plastic that is used mainly in construction because they are easy and cheap to produce. It is the third most widely used plastic in the world and can be made softer and flexible. Hypalon is a kind of synthetic rubber which is also a popular material used to build folding kayaks and other inflatable boats. This material is known for its resistance to ultraviolet light, chemicals, and extreme temperature. Nitrylon is one of the eco-friendly and innovative materials used in manufacturing inflatable boats. It’s a great alternative to PVC which has harmful effects on the environment. A significant number of kayakers use inflatable kayaks because of many reasons. Here are some of the pros of using inflatables compared to hard shell kayaks. 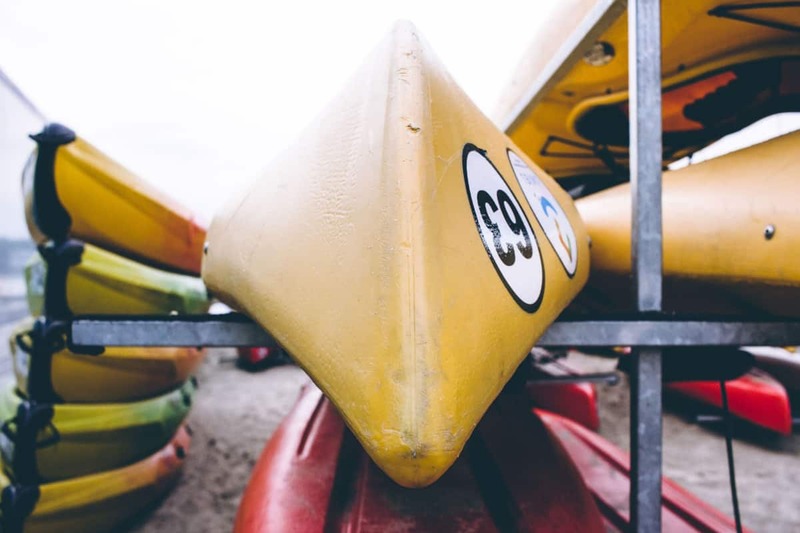 Traditional kayaks are bulky and keeping it in your property is a huge hassle, especially for those who rent an apartment. On the other hand, inflatable kayaks once emptied of air and folded can easily be stored even in small spaces such as your closet or on top of a shelf. Inflatable kayaks are a bit wider and more buoyant than traditional kayaks like the hard shell. Hence, they are more stable and the chances of you tipping over are lessened. Another advantage that inflatable of inflatable kayaks is their portability. Once folded, you can store it anywhere in your vehicles such as the trunk of a car or a passenger seat or on the storage box of your motorbike. 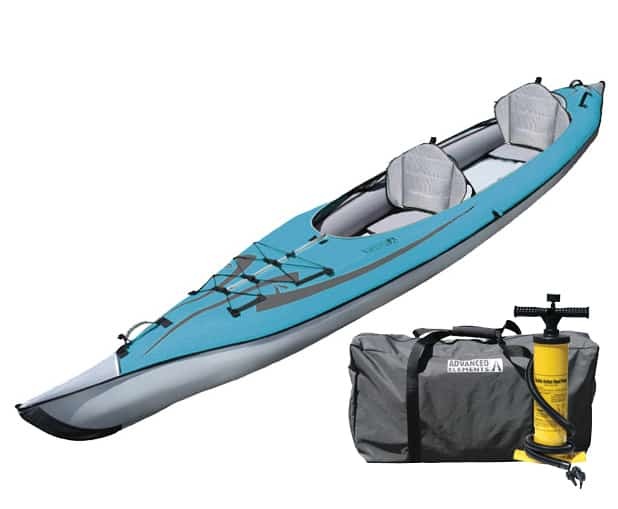 Some inflatable kayaks also come with its own backpack allowing you to deploy it almost anywhere. If you are new to kayaking and want an entry-level kayak which can fit your limited budget, then go for the cheaper inflatable kayak. They are the most budget-friendly option for beginners and are great starting boats because of their balanced performance and reliability. Because they are lightweight, you can carry your inflatable kayak anywhere. This means you can set it up at any location even if the lake, river or sea is a bit farther away from the road or an area with vehicle access. When an inflatable kayak sustains punctures, scratches or tears you won’t have to worry. Repairing this type of kayak is quite easy and only requires simple tools such as a patching kit. It’s also easier to maintain compared to hard shell kayaks. 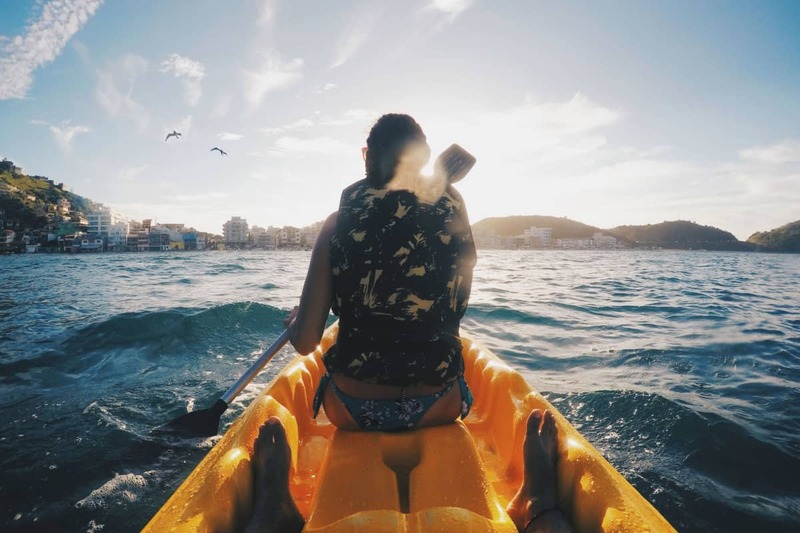 This type of kayak generally refers to boats with open design and comes with higher walls and seats. It resembles a canoe and often uses a single-blade paddle instead of the two-sided paddle used in a kayak. 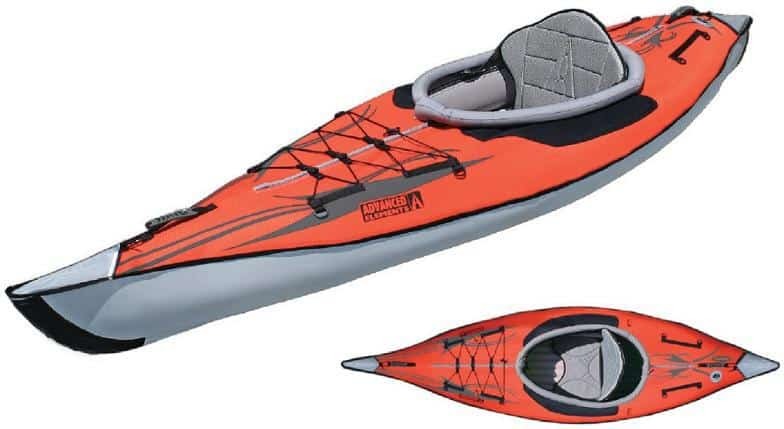 This hybrid kayak resembles the canoe and features a lower seat than the canoe-styled boats, but higher sidewalls compared to a sit-on-top design. This design avoids more water from entering the boat while not being enclosed entirely. Moreover, you use a double-sided paddle and have the option to install spray decks to seal off the deck entirely. This type of inflatable kayak is great for whitewater adventures. It has several holes or ports which are located at the bottom of the watercraft. This allows water to enter the boat and then pass back out. This process ensures that the boat won’t fill up which is crucial in water segments with fast-moving water. On the other hand, if you are kayaking on the calm water you need to plug these holes or water will come in the boat through the floor ports. It’s also important to note that most self-bailing kayaks don’t have tracking fins which lessens their performance in the flat water. Following the more traditional kayak design, sit inside watercraft have enclosed cockpits. Many of them have spray kits which you can attach in the boat to expel water and wind alike. This type of kayak is great during colder weather as they can easily keep water out. A sit-on-top kayak has an open cockpit design and uses the double-sided paddle. Because of its design, the paddler can easily get in and out of your boat; especially they want to take a dip in the water. However, because it has an exposed cockpit and lower side walls, water can enter the boat more easily. Inflatable stand-up paddle boards (a.k.a. ISUP) were just recently introduced in the market but its basic structure and function are similar to gondolas. Unlike many watercraft were the paddler is on a sitting or kneeling position, the paddlers of ISUPs are usually standing on the craft. 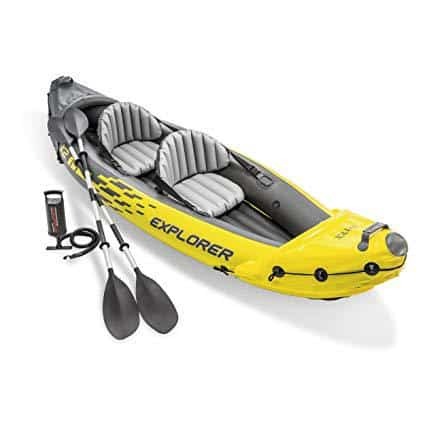 It may resemble a banana, but the Intex Explorer K2 is an outstanding low-cost, two-person kayak. Compact and lightweight, this inflatable kayak is easy to carry and assemble. It’s also quite durable and made from rigid materials mainly vinyl over nylon shell which allows it to carry up to 400 pounds of load. The bright yellow color also works to its advantage as you can easily spot in while on the water. It’s also a great starting kayak for beginners because it’s quite stable and very safe. The cabin is also spacious and comfortable to sit in. The Intex Challenger is an affordable solo-passenger kayak which is an excellent choice for beginner paddlers. It’s basically a no-frills kayak that performs well on calm rivers and lakes. This kayak is also very light and portable that you can carry it pretty much everywhere. Moreover, the cockpit is also quite spacious and designed to provide the best comfort for the paddler. Maximum load capacity is at a reasonable 200 pounds. The kayak also has a cargo net where you can store your extra gear. This watercraft also comes with a repair patch, a manual hand pump, and an 84-inch aluminum oar. 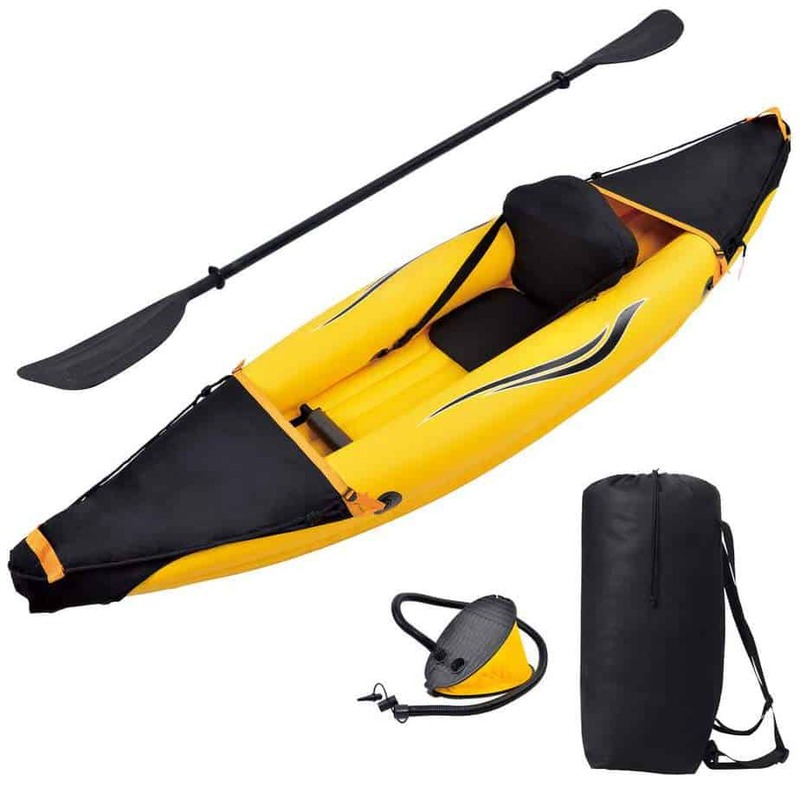 This inflatable kayak is quite popular among recreational kayakers because of it’s optional decking. As such, this watercraft can turn from a two-person kayak to a single-passenger kayak by just removing one of the seats and moving the remaining seat on the center and vice versa. The Advanced Frame Convertible also sits low in the water giving you that authentic kayak feels. It also has a decent back support and a nifty storage area under the front and back decks. The kayak can also support up to 550 lbs. Moreover, it also comes with a carry bag where you can store the item when it’s deflated. The Sea Eagle 330 is a top-notch two-seater inflatable kayak known for being lightweight and portable. Weighing at only 26 lbs, this kayak can fit in any car trunk when it’s deflated. It’s also built strong, with materials such as K-80 polykrylar for its hull, and is capable of carrying 500 lbs of weight. Another great thing about this inflatable kayak is it comes with its own spray skirts, oars, and a foot pump. Setting it up is also quite easy and takes only around 6 minutes. 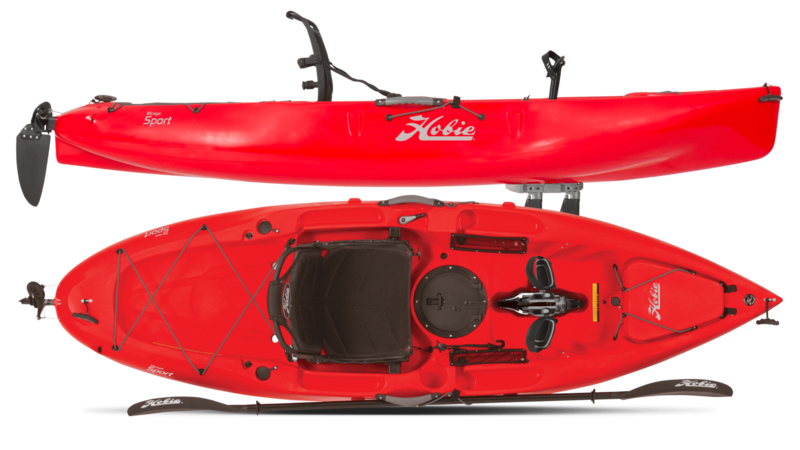 Moreover, this kayak can withstand rapids and even has its own National Marine Manufacturers Association (NMMA) certification. The Advanced Frame kayak is a single-paddler watercraft that excels in inland water such as rivers, lakes and even in whitewater. It weighs around 36 lbs and can carry up to 300 lbs of weight. Furthermore, it has a durable hard-shell frame which dries up quickly allowing you to store if fast once it’s out of the water. It’s also built to withstand even class 3 river thanks to its puncture-resistant skin made of double coated PVC covered by its tarpaulin. This kayak also has a small storage room in the front and rear part just under its deck. Its seats are also lowered to give the paddler extra comfort. While the padded seats provide excellent protection for the passenger’s back. 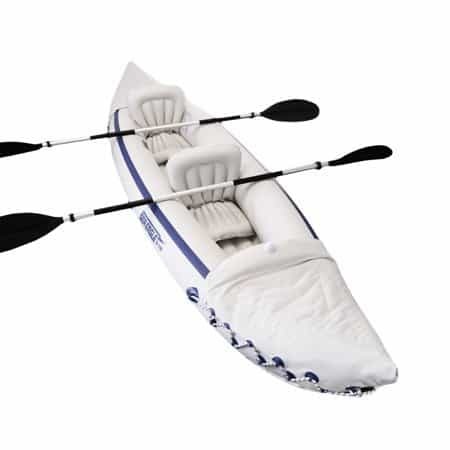 The Sea Eagle 370 is an affordable inflatable kayak which can seat up to three people. Its rugged design allows it to carry around 650 lbs of cargo. It’s also portable and very lightweight at just 32 lbs. This boat is also easy to set up and only takes 10 minutes of prep time before you can take it to the water. Additionally, this watercraft also has two rear skegs which allow it to track the speed easier and provides better stability. The boat’s floor is also rigid thanks to its 5-tube i-beam design. It also comes with additional accessories such as an inflatable spray skirt and repair kit. 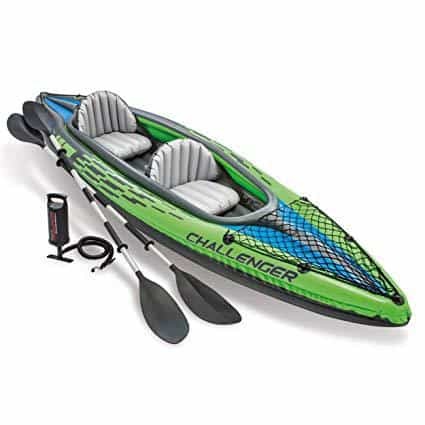 The Intex Challenger K2 is an affordable tandem kayak known for its quality components and a few extras thrown into the package. It’s similar in construction with the K1 and is also made of puncture resistant vinyl. The materials used in the Challenger K2 are also UV damage resistant. This boat is proven tough and is even approved by the US Coast Guard. 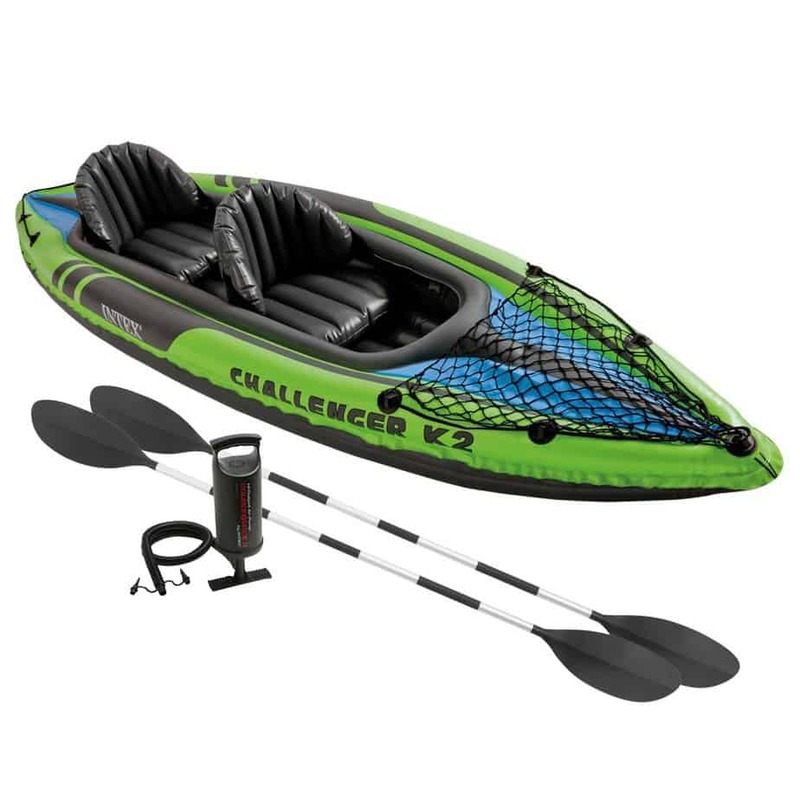 Furthermore, the Challenger K2 is also highly visible in the water thanks to its bright green color matched with sporty graphics. 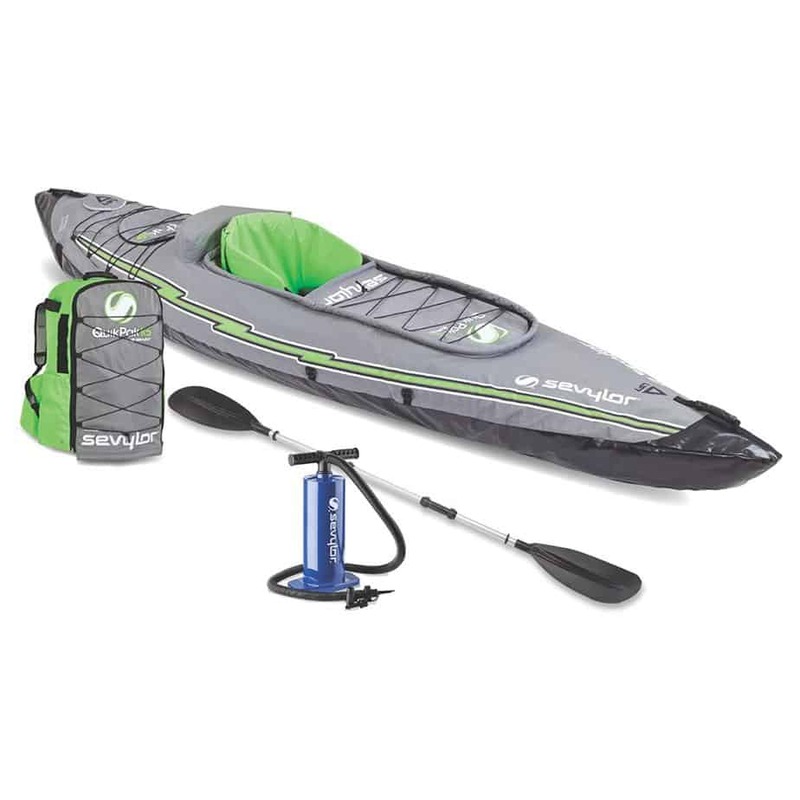 Included in the inflatable kayaks are some nifty accessories such as a couple of 86-inch aluminum paddles, repair patch kit and its own high output pump. They Sevylor Quickpack K5 is a portable single-passenger inflatable kayak which you can easily fold into a backpack. With this boat, it doesn’t take 5 minutes of prep time before you can hit the waters. It spans 10 feet when fully inflated and weighs 25.5 lbs. This boat is made of durable materials, such as a 24-gauge PVC construction, that allows it to carry a weight of up to 250 lbs. Additionally, this boat also has an airtight system that prevents a leak. It also has a polyester cover and a tarpaulin bottom that protects it from puncture. 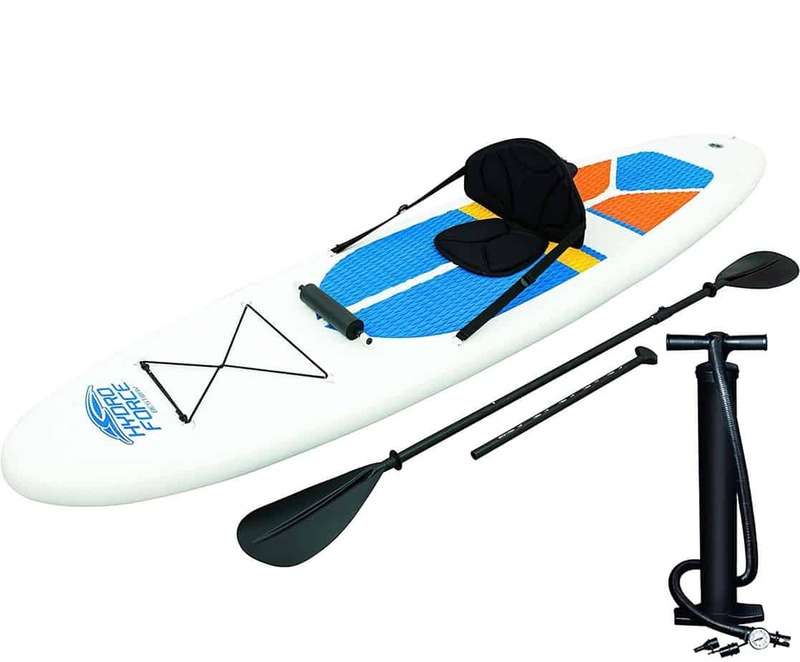 A hand pump and a paddle are also included when you buy this inflatable kayak. 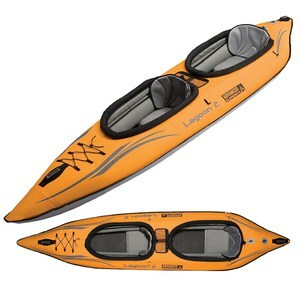 Going on an adventure alone, whether it’s on a river, lake or on the bay, has never been easier with the Lagoon 1 Kayak. This easy to use inflatable kayak can inflate or deflate in just minutes thanks to its Twistlok feature. It also has high-support padded seats and molded rubber handles that provide comfort for the paddler. Its manufacturer has also built rigid panels in the boat which dramatically improves its tracking and steering. The durable 6-chamber design also ensures that the watercraft will stay afloat even when it’s punctured. Lastly, included in the kit are some nifty items such as a paddle holder, a handy repair kit, and a carrying duffel bag. Inflatable kayaks remain as one of the best choices for anyone who wants to try out kayaking as a recreational activity. They are inexpensive and very portable. Also, they don’t take a lot of storage space in your home or property. If you are in the market for watercraft, we urge you to first look at inflatable kayaks.